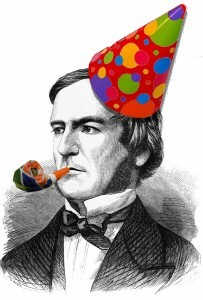 Happy birthday AND many happy returns to George Boole, 200 this year! The Irish Taoiseach, Enda Kenny, has helped launch University College Cork’s year of festivities celebrating Boole, their first professor of maths and the inventor of Boolean algebra. The year’s activities will include the restoration of Boole’s first home in Cork, an official film biography, an art exhibition of “contermporary art and mathematical data”, three conferences in maths and computer science, and of course a youth outreach programme. All the relevant information is available at a swishy new site set up for the purpose, georgeboole.com. Put away your calculators – the National Museum of Scotland in Edinburgh has announced that it will host an exhibition all about John Napier to celebrate the 400th anniversary of the publication of his treatise on logarithms, Mirifici Logarithmorum Canonis Descriptio. Napier’s pioneering work on logarithms offered simple and elegant solutions to previously laborious and error-prone calculations; enabling more calculations to be completed in an hour than had previously been completed in one day. From the introduction of the decimal point to the development of slide rules and ‘Napier’s rods’, this exhibition will explore how Napier’s revolutionary innovations advanced and influenced mathematics from the 17th Century to the modern day. Power of Ten will run from 28 March to 6 July, and entry is free.